Description: Eastern gurus constitute a large class of Hindu occultists who have come to America to spread the teachings of Hinduism, especially its necessary spiritual practices for achieving enlightenment. Founder: Different schools of Hinduism have different founders. 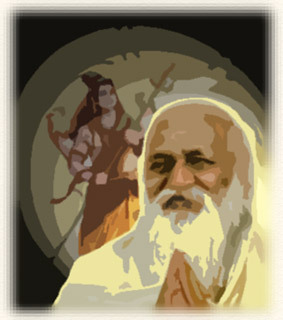 Shankara (9th C. A.D.) founded the advaita school, which is the teaching of most Hindu gurus in America. How does it claim to work? Through practices such as altered states of consciousness, meditation, and yoga, disciples are told they will achieve a form of spiritual "enlightenment" and thereby realize their true nature as being one essence with the highest Hindu God, Brahman. Examples of occult potential: Psychic development, spirit contact, and possession. The gurus accept a wide variety of occult practices. Major Problems: The gurus’ claims to represent, or incarnate, God and to offer higher forms of spirituality, which they say are desperately needed in the West, is contradicted by their teachings. Collectively, the gurus are a powerful vehicle for spreading dangerous forms of pagan spirituality and practice in America. Biblical/Christian evaluation: Despite their claims to represent God or Jesus, and to not contradict Christian belief, the gurus’ teachings and practices are implicitly hostile to biblical theology and instruction. Potential Dangers: Social withdrawal, moral compromise, psychological damage, demonization. In earlier articles we examined some of the associations between Eastern religion and Satanism/witchcraft. Now we bring our concerns closer to home by examining the beliefs of some popular American gurus. Among Eastern gurus as a whole, occult practices are widely accepted. Typically, they include not only various forms of spiritism but also astrology, magic, sorcery, necromancy, development of psychic abilities, shamanistic practices, the transferal of occult power in initiation (shaktipat diksha), etc. Our research into some two dozen of the major gurus revealed that many of them were, in fact, possessed (defined as God possession or spirit possession, but not demon possession) and that their spiritual paths were often designed to lead to spirit possession, defined as a form of higher spirituality or enlightenment. Unfortunately being "slain in the spirit" and "holy laughter" are only two more examples of doctrine that has been directly derived from occult sources... best illustrated by comparing the experiences and behavior of the people at Toronto, Brownsville, Lakeland and countless other Charismatic a churches with disciples of Hindu gurus, who have had a spiritual "power" or Kundalini awakening conferred on them. What is truly alarming is that the requirements for receiving are the same, the methods of transmissions are the same and the physical manifestations are the same. Insanity or death [See Part 1] is not the only hallmark of what Eastern practices can offer sincere Western seekers. Possession is another. As we saw, Muktananda obviously was possessed by something, and most gurus admit to spiritistic influences and/or possession. Like mediums in general, they also attempt to make a distinction between "good" (i.e., voluntary) possession and evil (obsessional, involuntary) possession. Possession, as in the following examples, was commonplace. Note that these people did not originally seek to become possessed; it resulted simply from joining the cult. The following examples only convey a small portion of the reality described. Perhaps the most common practice advanced by Eastern occultism is some form of yoga and/or meditation. In our critique of New Age medicine, Can You Trust Your Doctor?, we have documented the multiple dangers of most meditation practice. Here, we will concentrate on yoga. For example, that yoga practice can break down the mind and body is not surprising. The true goal of yoga is to destroy the person (who is only a false self, an illusion) so that the impersonal Brahman (the alleged real self) may be experienced. Because yoga is ultimately an occult practice (e.g., it characteristically develops psychic abilities), it is not unexpected that the characteristic hazards of occult practice — for example, physical diseases, mental illness, and demonization  —could be encountered. We believe that these hazards are encountered because yoga is an occult practice and not because yoga is allegedly performed in an incorrect manner. Below we cite some of the hazards of yoga as noted by yoga authorities. In conclusion, those who practice the occultism of the East also warn of its dangers. This is why those who seek the so-called "wisdom from the East" frequently get more than they bargained for. 1 Brooks Alexander, "Book Review: Riders of the Cosmic Circuit," in SCP Journal, Vol. 7, No. 1, 1987, p. 39. 2 Bhagwan Shree Rajneesh in Swami Ananda Yarti, The Sound of Running Water: A Photobiography of Bhagwan Sri Rajneesh and His Work 1974-1978 (Poona, India: Poona Rajneesh Foundation, 1980), p. 364. 3 Daniel Goleman, "The Buddha on Meditation and States of Consciousness" in Charles Tart, ed., Transpersonal Psychologies (New York: Harper Colophon Books, 1977), p. 218. 4 Swami Muktananda, Play of Consciousness (New York: Harper & Row, 1978), pp. xxiii, 155-161. 5 Paramahansa Yogananda, Autobiography of a Yogi (Los Angeles: Self-Realization Fellowship, 1972), pp. 16, 55-57, 132, 137, 190, 475-79. 6 Paramahansa Yogananda, "Where Are Our Departed Loved Ones?" in Self-Realization Magazine, Spring 1978, pp. 6-7. 7 Sri Aumbindo and the Mother on Occultism, compiled by Vijay (Pondicherry, India: Sri Aurobindo Society, 1972), p. 17. 8 Sri Aurobindo, A Practical Guide to Integral Yoga, compiled by Manishai (Pondicherry, India: Sri Aurobindo Ashram, 1973), p. 273. 9 Sri Chinmoy, Astrology, the Supernatural and the Beyond (Jamaica, NY: Agni Press, 1973), p. 62. 10 Ibid., p. 94, and Chinmoy, Great Masters and Cosmic Gods (Jamaica, NY: Agni Press, 1977), p. 8. 11 Meher Baba, The Path of Love (New York: Samuel Weiser, 1976), pp. 44,64,138; C. D. Deshmukh, Sparks of the Truth From the Dissertations of Meher Baba (Crescent Beach, SC: Sheriar, 1973), p. 45; Meher Baba, Listen Humanity, D. E. Stevens, ed. (New York: Harper & Row, 1967), p. 100. 12 John Weldon, Eastern Gurus in a Western Milieu: A Critique From the Perspective of Biblical Revelation, Ph.D. dissertation. Pacific College of Graduate Studies, Melbourne Victoria, Australia, 1988. 13 Swami Muktananda, Play of Consciousness (New York: Harper & Row, 1978), pp. 75-81, 84-85, 88-89. 14 Ram Dass, The Only Dance There Is (Garden City, NY: Anchor, 1974), pp. 74-75. 15 Ram Dass, Grist for the Mill (New York: Bantam, 1979). 16 Serapis Bey, Dossier on the Ascension, recorded by Mark L. Prophet (Los Angeles: Summit University Press, 1979), p. 167. 17 Bubba Free John, Garbage and the Goddess (Lower Lake, CA: Dawn Horse Press, 1974), p. 154. 27Tal Brooke, Riders of the Cosmic Circuit (Lion Publishing, 1986), passim. 28 Georg Feuernstein and Jeanine Miller, Yoga and Beyond: Essays in Indian Philosophy (New York: Schocken, 1972), p. 8. 29 Moti Lal Pandit, "Yoga As Methods of Liberation," in Update: A Quarterly Journal on New Religious Movements (Aarhus, Denmark: The Dialogue Center, Vol. 9, No. 4, Dec. 1985), p. 41. 31 Swami Prabhavananda, Yoga and Mysticism (Hollywood, CA: Vedanta Press, 1972), pp. 18-19. 32 Bhagwan Shree Patanjali, Aphorisms of Yoga, trans. Shree Purohit Swami (London: Faber and Faber, 1972), pp. 56-57. 33 Ernest Wood, Seven Schools of Yoga: An Introduction (Wheaton IL: Theosophical Publishing House, 1973), pp. 77, 79. 34 Sri Chinmoy, Astrology, the Supernatural and the Beyond (Jamaica, NY: Agni Press, 1973), pp. 53-68,87-89; Sri Chinmoy, Conversations with the Master (Jamaica, NY: Agni Press, 1977), pp. 9-20,26-33. 35 Sri Chinmoy, Great Masters and the Cosmic Gods (Jamaica, NY: Agni Press, 1977), p. 8. 36 Hans Ulrich-Rieker, The Yoga of Light: Hatha Yoga Pradipika (New York: Seabury Press, 1971), pp. 9,134. 37 Gopi Krishna, "The True Aim of Yoga," Psychic, January-February, 1973, p. 13. 38 Ulrich-Rieker, The Yoga of Light, p. 79. 39 Sri Krishna Prem, The Yoga of the Bhagavat Gita (Baltimore, MD: Penguin, 1973), pp. xv. 41 Prabhavananda, Yoga and Mysticism, pp. 18-19. 42 Ulrich-Rieker, The Yoga of Light, pp. 30, 79, 96, 111-112. 43 Wood, Seven Schools, p. 14. Yet Here is What Some So Called ‘Christian’ leaders say.